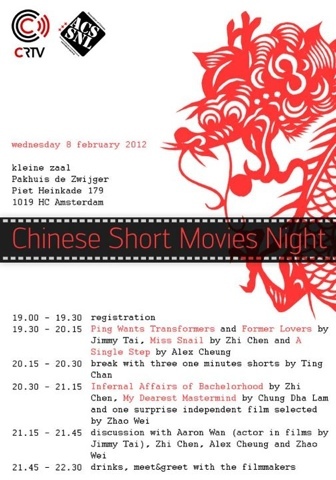 Another screening of my dearest mastermind however this time at Asian shorts movies in Amsterdam. Very excited but too bad I am not in NL but HK. But have to say we still have the rest of the crew in NL and Alex the lead actor to represent it.